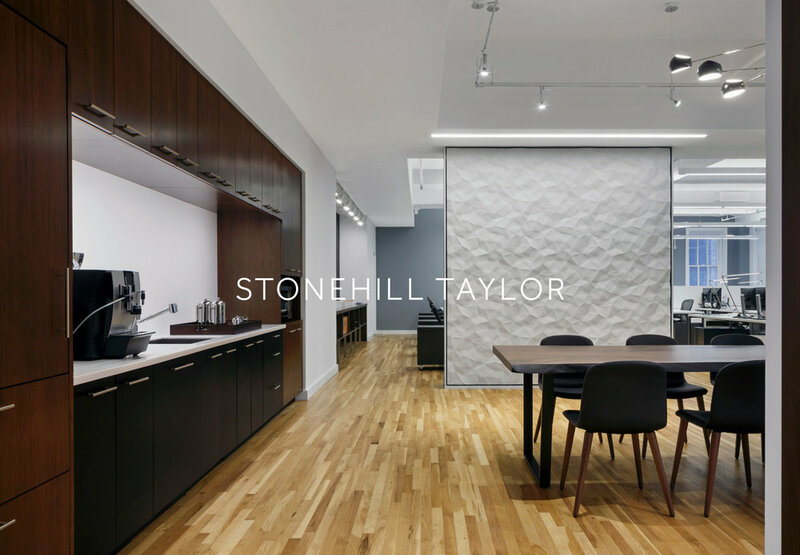 Stonehill Taylor is a New York City-based architecture and interior design firm. Primarily focused on hospitality, Stonehill Taylor’s approach combines the essence of the location with the unique needs of the client to produce a truly remarkable result. In addition to many bespoke clients, Stonehill Taylor is responsible for several well-known preservation projects, ranging from Ace Hotel New York to the St. Regis, The Camby Hotel, InterContinental Barclay, and more. An architecture institution at the forefront of innovative and sustainable design. Stonehill Taylor is a New York City-based architecture and interior design firm. Primarily focused on hospitality, Stonehill Taylor’s approach combines the essence of the location with the unique needs of the client to produce a truly remarkable result. In addition to many bespoke clients, Stonehill Taylor is responsible for several well-known preservation projects, ranging from Ace Hotel New York to the St. Regis, The Camby Hotel, InterContinental Barclay, and more. The new Stonehill Taylor embraces a minimalist aesthetic, starting with a name reduction and expanded into new identity, which gave birth to an entire language of simplified yet powerful visual tools.